Many customers are surprised to learn that the delicious champagnes of Le Brun de Neuville are actually the product of a rather sizable co-op in the Sezanne area of south Champagne. The wines are made from the fruit of over 160 growers from seven different villages in this very chalky area, but don’t let the large scale fool you. The quality and precision with which they are made is quite stunning with the pristine facility where the magic happens being a wonder in itself. During harvest time, two enormous 12,000 hectoliter presses run 24 hours a day, producing an enormous amount of juice. Le Brun de Neuville only keeps the tête de cuvée, or first press juice, for their wines, selling the other 2/3s to the large negociants. 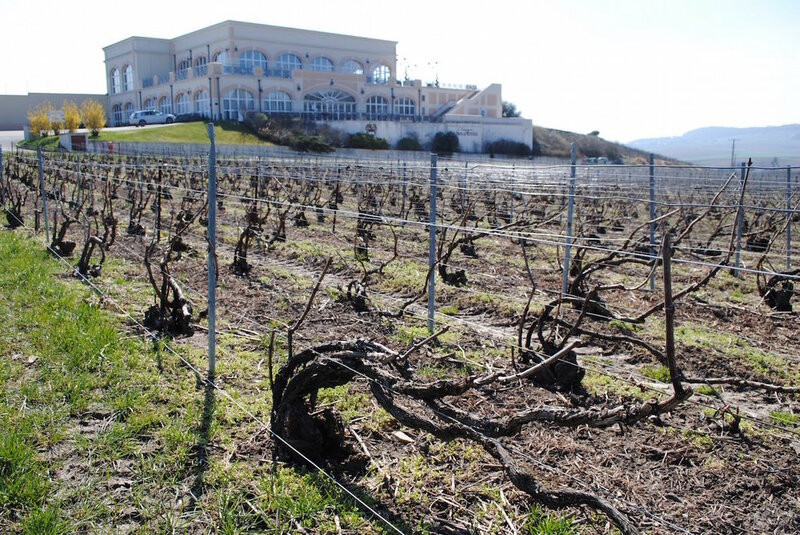 They vinify and store everything separately depending on the different growing conditions behind the vines, including; which village they come from, whether grass is grown between the rows, their overall age, etc. This way they have as many options as possible when blending to create the perfect champagnes. Gary Westby and I sat down with longtime friend, export director Amandine Volhuer, to try a few of the cuvées. 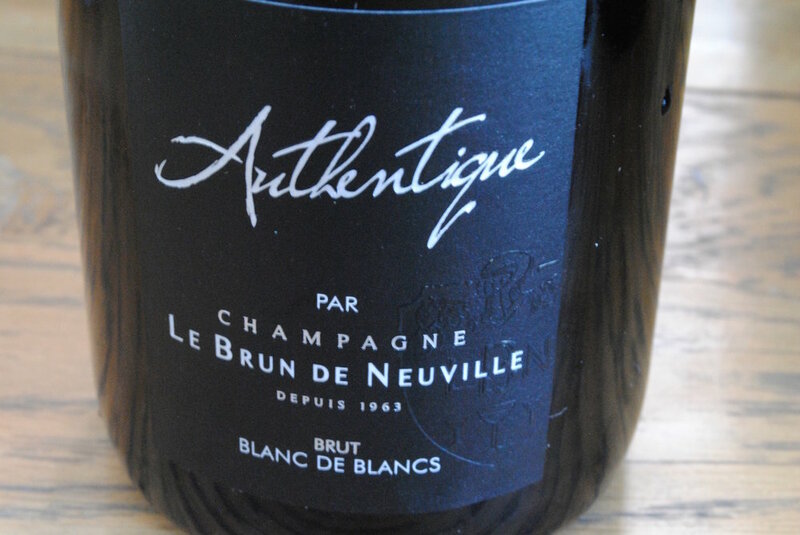 One of my favorite lines of champagne in the store is the Le Brun de Neuville “Authentique.” The wines are aged entirely on a cork rather than the much more widely used bottle cap. This allows for a tiny amount of micro-oxygenation to occur during aging, lending to richer texture and greater lasting power. A strong candidate for future importation was the Authentique Blanc de Blancs, made from 100% Sezanne Chardonnay dosed at a modest 6 g/L. It had a beautiful concentration of lemon, white apple, and cream flavors with a very linear structure and great freshness. While not as rich as the Blanc de Blancs of the Côte de Blancs, the balance, freshness, and minerality make this a great candidate for an oyster feast. Next, we tried the 2009 vintage brut, made from 93% Chardonnay, 7% Pinot Noir, dosed at 8 grams of sugar per liter. True to the vintage, it had wonderful rich dried apricot, Meyer lemon, acacia flower notes with good salinity and minerals. It told the story of a vintage that I very much enjoy for its opulence and drinkability, and I plan on picking up at least a few bottles when it arrives.